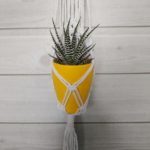 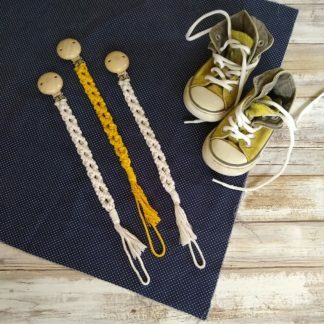 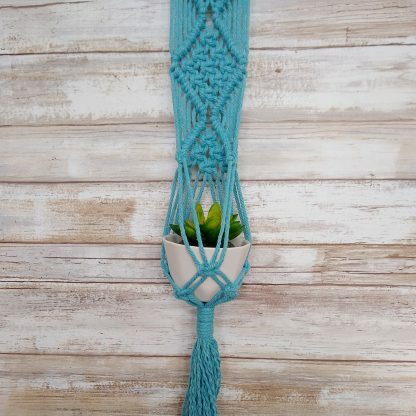 Macrame plant hanger for small succulents. 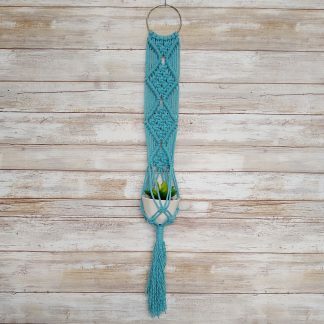 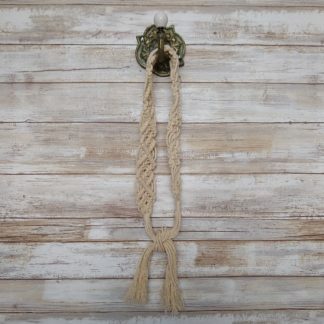 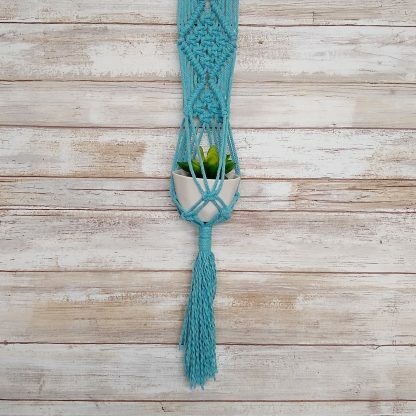 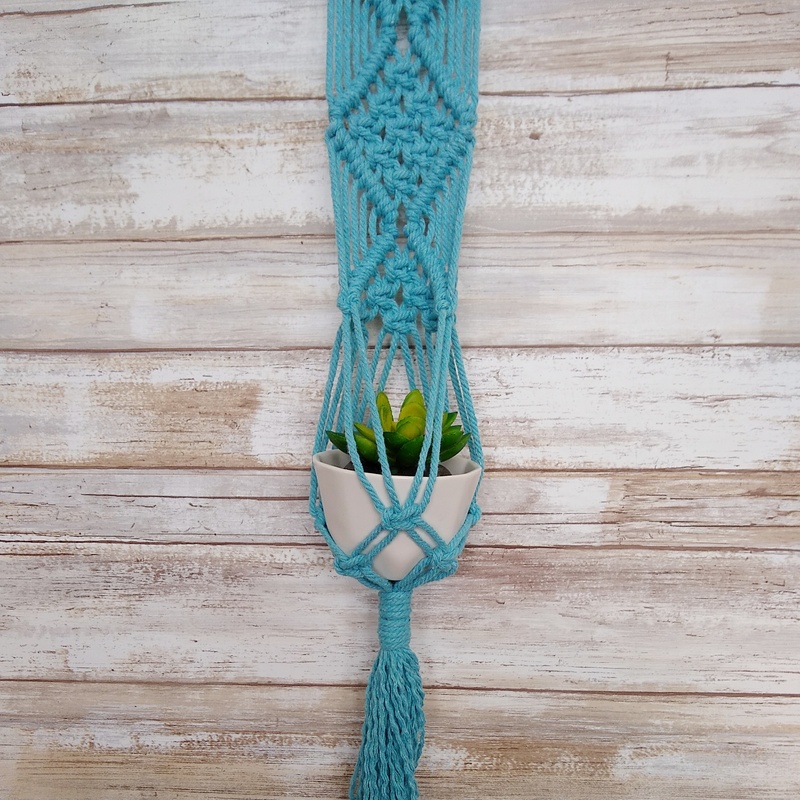 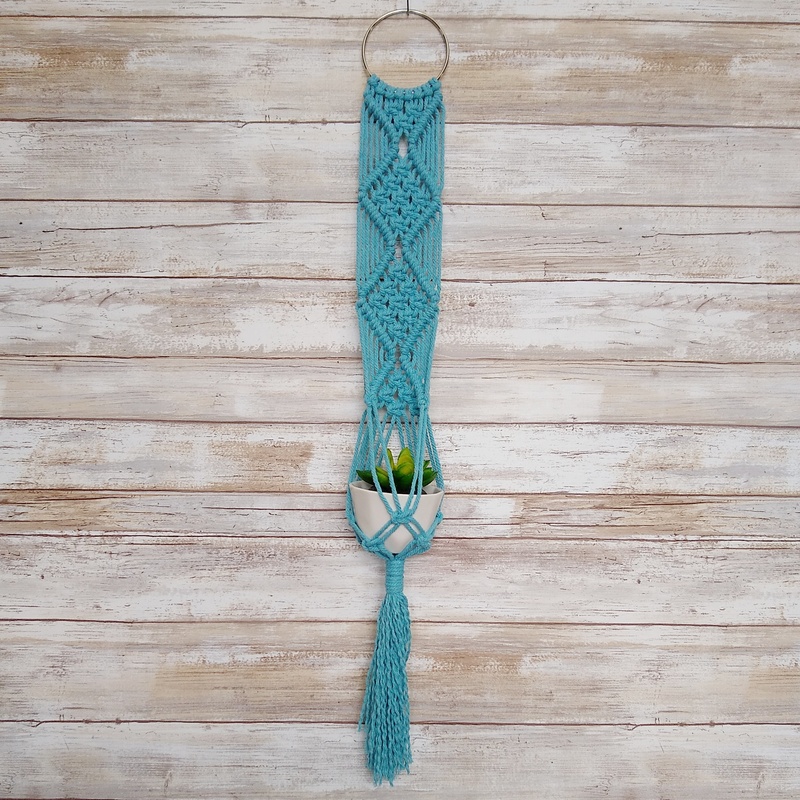 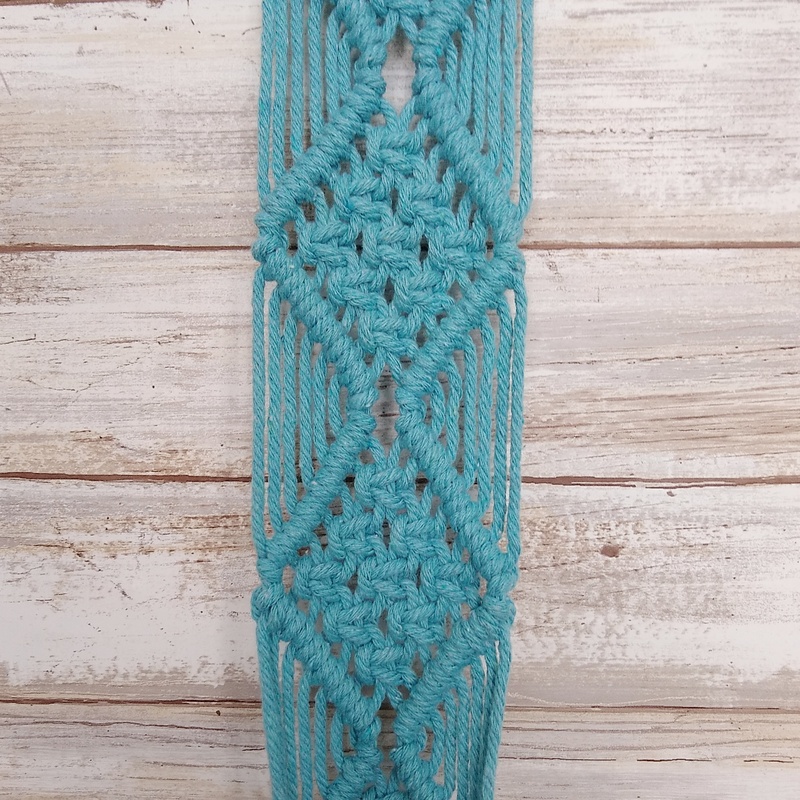 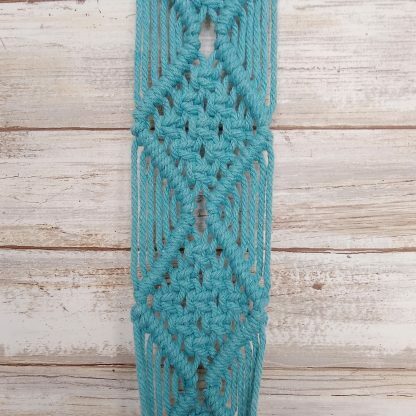 Teal macrame plant hanger ideal for small succulents. 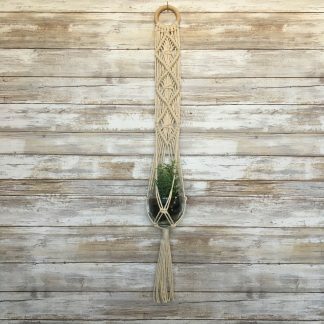 Fits planter 3″-4″ diameter. 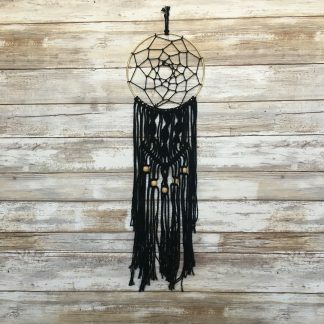 Hangs on a silver metal ring. Length is 26″.